IKEA has filled a significant void in the lives of hip, budget-conscious, do-it-yourselfers across the globe. If you are lucky enough to live within driving distance of one of these stores, you are lucky indeed. 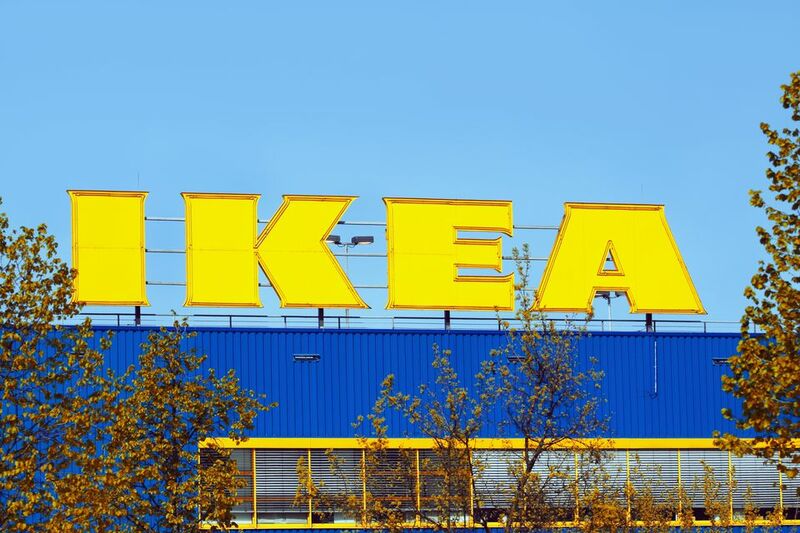 Never has a company catered so well to its audience since Walt Disney built the Magic Kingdom, and though a first-time visitor to IKEA may feel like they just walked into the most magical place on earth, it’s also bound to feel like the most overwhelming. Shoppers walk by clutching gigantic cinnamon rolls that came from, well, somewhere. Escalators flow upward into unknown worlds. Catalogs are stacked by the door but there is no merchandise in sight. Since IKEA’s low prices depend on a help-yourself environment, unless you know where to go and what to do, that über-sleek and ultra-cheap couch so beautifully displayed in the window may seem like it pulled a disappearing act. Below are some tips to ease you along in your IKEA shopping experience. When you come through the door, you’ll need to grab a couple of things to aid you in your shopping experience. A catalog, if you don’t already have one. This is not a necessity but can be a help during shopping and beyond. A map. Yes, you may need this. It’s easy to get trapped in IKEA’s maze of departments and aisles. An IKEA notepad and pencil, to write down the location numbers of items that you might want to purchase. An IKEA shopping bag or cart, or both. IKEA is separated into four areas: showroom, marketplace, self-serve warehouse and checkout. The showroom, located on the top level, is your own private, grown-up playhouse, so if you don’t know exactly what you are shopping for, plan to spend some time here. This showroom is the best (and sometimes only) place to view assembled IKEA furniture. If you see something you want to purchase, the price tag will tell you where to find it. Record this info on your notepad. The marketplace is where you will find IKEA decor accessories such as vases, pillows, curtains, fabric, dishes and rugs. The self-serve warehouse is exactly that. This is where you will find the furniture that you viewed in the showroom, only now it is available for purchase. Use your notepad to find the correct aisle where the product is located. The checkout. The place where you can spend big bucks or save a ton – or both! Tape measurers are provided, so you won’t need to bring yours. The price tag at IKEA is your friend. Not only does it list colors, materials, sizes and other useful information, but also the shelf number where you can collect the item from the warehouse or a message to contact staff if you need to collect it at Furniture Pick-up. There are two restaurants in IKEA: Their main self-serve restaurant and the bistro café, usually located by the checkout. If you need help, salespeople are often hard to find but they do know their stuff. They can usually be found at the blue and yellow information booths scattered throughout the showroom and at the desk located in the center aisle of the warehouse. Many IKEA stores offer a consultant service if you wish to furnish an entire room or home. For assistance with kitchen, office or bedroom planning, the IKEA website offers several planning tools. If you live too many miles away from the closest store, IKEA does offer online shopping on many of their items. Sign up to be a member of the IKEA family program to score discounts and more. Bring your own bags to checkout unless you don’t mind paying the small charge for IKEA’s. Don’t bypass the As-Is section, usually located by the checkout area. Great deals can be had here, especially if you don’t mind doing a little TLC. Kitchen cabinetry is not available for pick-up in the self-serve warehouse. To purchase kitchen cabinetry, IKEA requires that you design your space first. You may design it at home online and print out your supply list, or you can use the computers in your store's kitchen section where IKEA provides a kitchen planner on hand to help. After purchase, proceed to IKEA's Furniture Pick-Up to receive your cabinets and installation hardware.